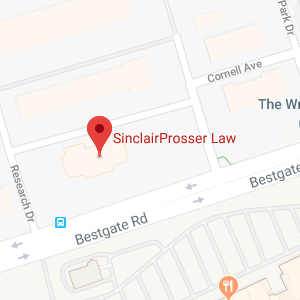 SinclairProsser Law provides representation to clients in Stevensville, MD and surrounding areas. Clients turn to our firm for help with estate planning and elder law issues. These issues— such as planning for incapacity or protecting your assets — do not just affect seniors. They can profoundly affect the financial security and autonomy of people of all ages. Whether you are young or old, rich or poor, our legal team can help you to make smart plans to secure your future and protect your family. Our services include legacy planning, financial planning and more. To find out why these services are so important and to talk with a member of our legal team about the personalized help we provide in making your plans for the future, give us a call at 410-573-4818 today. Stevensville, Maryland is a census-designated place located within Queen Anne’s County in the state of Maryland. Stevenson has the highest population of any census-designated place or municipality located throughout the entire state. There were more than 5,800 people living in Stevensville as of the most recent census, and the population was divided up into 2,071 households. Stevensville is home to one of just two registered historic districts located within Queen Anne’s County. The registered historic district located in Stevensville is called the Stevensville Historic District and the other registered historic district in Queen Anne’s County is called the Centreville Historic District. Stevensville was first founded as a terminal for steamboats back in 1850. There are still more than 100 buildings standing in Stevensville today that date back to the town’s founding. The historic buildings are a major draw for tourists who enjoy visiting the area to look at these relics of the past. In Stevensville, Maryland, approximately 4.1 percent of households were comprised of someone aged 65 or older living alone with no other family members as of the most recent census. According to data from the same census, 6.2 percent of the total Stevensville population was 65 or older. Seniors often begin to face health issues as they get older, and sometimes it can be difficult to cope with those issues when living independently without a caretaker. Fortunately, there are senior services available that all senior Stevensville residents can take advantage of. Many of these services are offered through senior centers in Queen Anne’s County. There are three different senior centers that serve residents of Stevensville, including senior centers located in Grasonville, Kent Island, and Sudlersville. The services and programs the senior centers provide are open to people aged 55 and up. Some of these services include recreational activities, nutrition support programs, and educational programs. Transportation may also be available to local senior centers for seniors who need help getting to events and services. SinclairProsser Law provides help to seniors who need more assistance than community programs can provide. If you need more intensive medical care or if you require other assistance, such as help with activities of daily living, programs like Medicaid can sometimes provide coverage for the care you need. However, you need to qualify for these benefits programs, many of which are means-tested or have other strict eligibility requirements. Our Stevensville, MD estate planning and elder law attorneys will help you identify government programs and community supports that could benefit you. SinclairProsser Law can also assist you in taking proactive steps to make it possible for you to qualify for these programs when you need to. Some of the most important services SinclairProsser Law provides to seniors — and to people of all ages — are services aimed at helping to address end-of-life issues and legacy issues outside of probate court. While most estates pass through probate, the probate process could be avoided if you create an estate plan. You could also make an estate plan that allows at least some assets to transfer outside of the probate process. Sparing your family the challenges involved in going to probate court is beneficial to your loved ones because your heirs or beneficiaries can receive inheritances more quickly and easily via other transfer methods. Money can also be saved if you pass assets outside of probate, as you can avoid probate fees. Estate administration is not the only legal issue that probate courts handle. Probate courts also preside over guardianship proceedings, which are necessary if someone becomes incapacitated without an incapacity plan. Unless you want your loved ones to be forced to initiate guardianship proceedings to have a guardian appointed for you if you can no longer act on your own, you need to make a plan in advance using tools like a power of attorney. While both guardianship proceedings and probate proceedings can be avoided, far too many people in Stevensville don’t make advanced plans to keep their family out of court. If your loved one has passed away or has become incapacitated without a plan, you will need to go to probate court. SinclairProsser Law can help if this happens to you. If you are involved in probate proceedings in Stevensville, your case will be heard in the Queen Anne’s County court system. You can find the Register of Wills for this county in Suite 220 of the Liberty Building at 107 North Liberty Street, Centreville, Maryland 21617. The telephone number to reach the Queen Anne’s County Office of the Register of Wills is 410-758-0585. Probate courts — the courts that handle probate and guardianship issues — are actually called Orphan’s Courts in Maryland. The Orphan’s Court for Queen Anne’s County can be reached at P.O. Box 59. It is in the Liberty Building at 107 North Liberty Street in Centreville, MD 21617. The telephone number is 410-758-0585. A Stevensville, MD elder law and estate planning attorney at SinclairProsser Law can provide help with all of your estate planning and elder law needs, including making a plan to avoid probate. We can also help with handling probate issues in court, as well as with incapacity planning, financial planning and more. To find out how our legal team can help you, give us a call today.